We are engaged in offering Insulated Furnace. 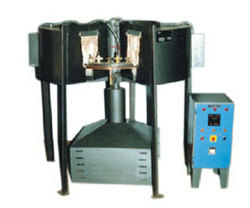 We are manufacturing Induction Billet Heating Furnaces for aluminum, copper and brass extrusion industries, which are use to heat the billet/log before it is extruded in extrusion press. Fully automatic burner operation as per required preset temperature. We offer a varied range of the finest quality Billeat Pre- Heating Furnace For Rolling Mill specially for rerolling mills and steel plants. Specially manufactured with the most advanced technologies and high grade raw materials, these products are highly recommended for high efficiency, durability and low maintenance. We are manufacturing Billet Heating Furnaces for aluminum, copper and brass extrusion industries, which are use to heat the billet/log before it is extruded in extrusion press. Fully automatic burner operation as per required preset temperature. 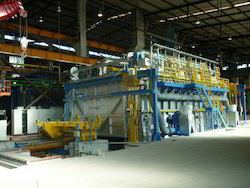 Pusher Type Billet Reheating Furnace upto 50 Tonnes/hr. capacity. These furnaces are mostly used in Steel Rolling Mills. Billet heating Pusher Furnace for M. S. Enterprise, Aurangabad.